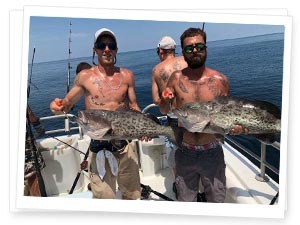 Whether it is a cruise in Pensacola Pass or a deep sea fishing charter off beautiful Pensacola Beach, FL, The Charter Boat Reel Eazy Charters is your best bet. 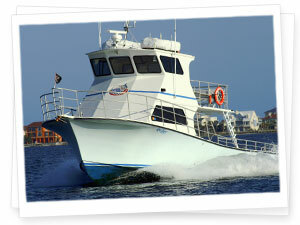 The Charter boat Reel Eazy is located on Pensacola Beach. 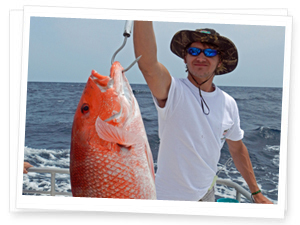 The Reel Eazy offers an array of great Pensacola Fishing Charters and Sunset and Dolphin Cruises. 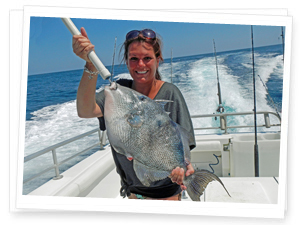 Over 32 years of Offshore Deep Sea Fishing Charter experience in Pensacola makes Reel Eazy Fishing Charters safe, reliable, comfortable and most of all deep sea fishing fun! 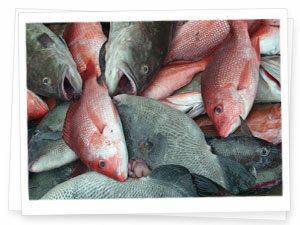 March 1st Trigger are open, May 1st Amberjack are open and June 1st Red Snapper open 45 days and Grouper until Dec. Please call 850 982 6007 for your reservation now. 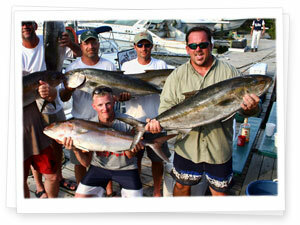 We specialize in the famous Pensacola deep sea fishing experience. 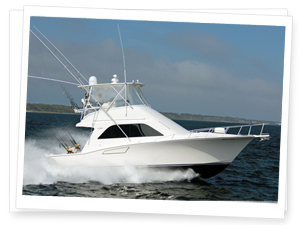 The Reel Eazy can accommodate private fishing parties up to 25 aboard the custom 46ft Newton. Designed for fishing off Pensacola Beach Gulf Waters, the Reel Eazy was engineered for speed, stability, exceptional rough water handling and good looks. 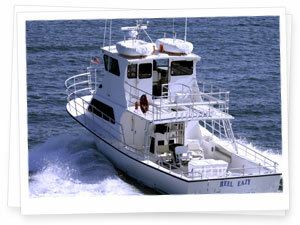 Comfortable, the Reel Eazy is equipped with Satellite TV, Air Conditioned Cabin and Head. 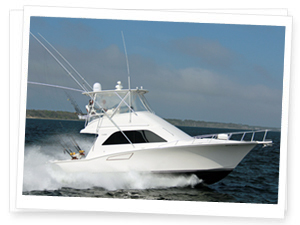 She has a huge fishing deck providing lots of space for your charter fishing experience. 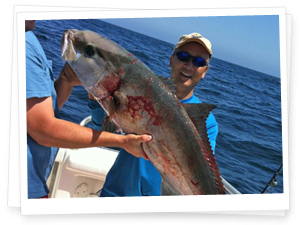 Off Pensacola Beach we are catching Red Snapper, Grouper, Trigger, Amberjack, King Mackerel, Wahoo, Mahi Mahi and many other exciting species found in the Gulf waters off of Pensacola, Navarre, Perdido, Orange Beach and beyond. Behind Peg Leg Pete's Restaurant. 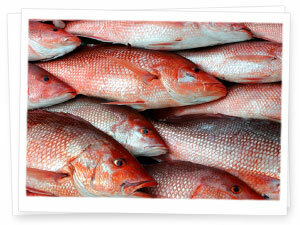 Gulf Coast deep sea fishing or cruising.